HUBS	- The same Super Extra Large Virginia peanuts you know as Hubs but these still have their red skins! Lightly salted. Kosher certified. Packed in 12oz easy lift vacuum-sealed tin with reusable plastic lid. Shelf life is 9 months. Refrigerate upon opening to maintain freshness. Ingredients: Peanuts, Vegetable Oil (contains one or more of the following: Canola Oil, Coconut Oil, Peanut Oil), Salt. UPC: 76215512014. The perfect blend of sea salt and cracked pepper. 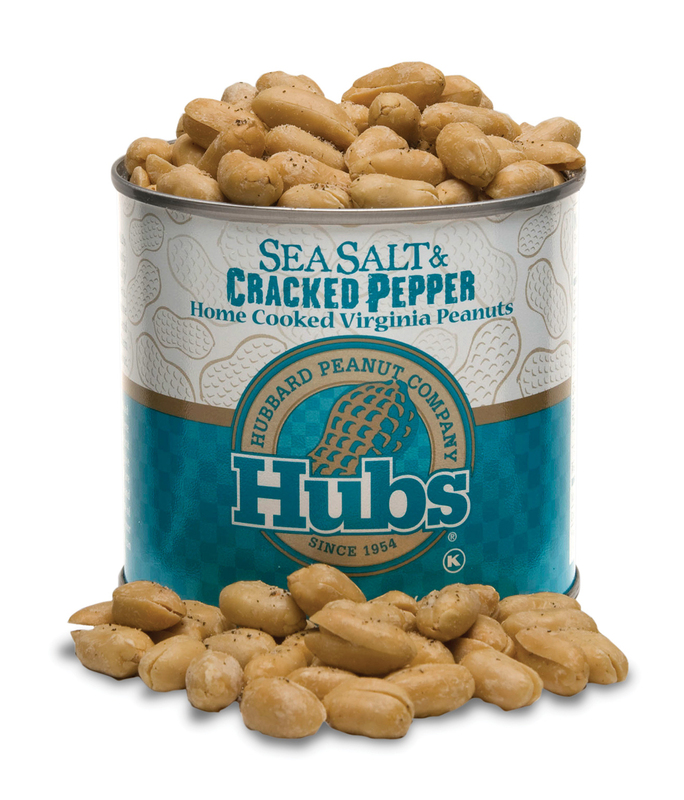 HUBS	- These Home Cooked Super Extra Large Virginia peanuts have superior crunch and delicious peanut flavor. Lightly salted. Kosher certified. Packed in 12oz easy lift vacuum-sealed tin with reusable plastic lid. Shelf life is 9 months. 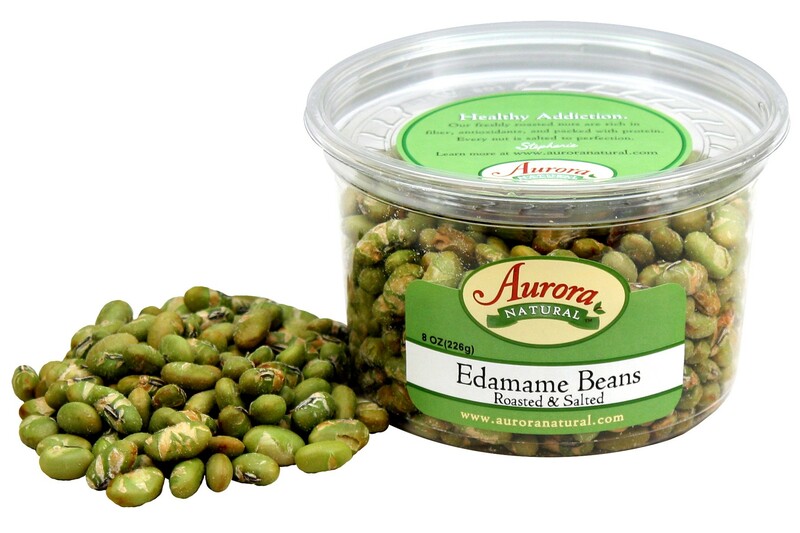 Refrigerate upon opening to maintain freshness. Ingredients: Peanuts, Vegetable Oil (contains one or more of the following: Canola Oil, Coconut Oil, Peanut Oil), Salt. UPC: 76215512010. 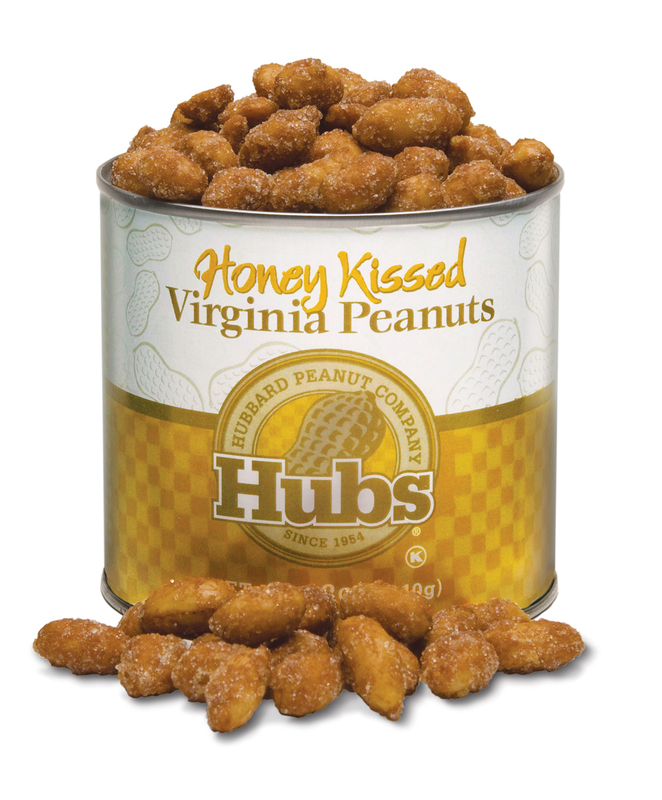 HUBS	- These Home Cooked Super Extra Large Virginia peanuts have superior crunch and delicious peanut flavor. Lightly salted. Kosher certified. Packed in 20oz vacuum-sealed tin with unique key opener. Each tin comes individually boxed for easy gift-giving or shipping. Shelf life is 12 months. Refrigerate upon opening to maintain freshness. Ingredients: Peanuts, Vegetable Oil (contains one or more of the following: Canola Oil, Coconut Oil, Peanut Oil), Salt. UPC: 76215520010.